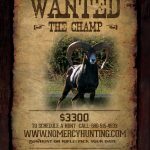 On most of our hunts, we offer a guaranteed shot opportunity. This means that if you do not get a shot at the species you are hunting for then we let you come back for free until you get a shot. This does not mean we guarantee you a kill. The actual taking of game is up to the hunter. Very rarely do we have to make good on this offer, as most of our hunters are successful on their scheduled hunt (approximately 98% first hunt success). The guarantee is only valid if the hunter is willing to do their part. The guarantee will not be honored in instances when the hunter is unwilling to hunt the full duration of the hunt or when the hunter is not willing to put forth the physical effort required to be successful. This determination will be made at the discretion of our guides and management. Our hunts are not a shoot but rather a hunt and hunters should come expecting to hunt and experience the challenges that hunting brings. That’s why we love this sport!!! 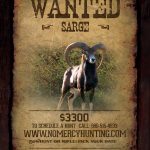 The exceptions to the guaranteed shot opportunity are our free roaming hog hunts, fair chase whitetail deer hunts, fair chase aoudad hunts, turkey hunts, & predator hunts. These fair chase hunts offer no guarantee. Due to the fair chase nature of these hunts and the uncontrollable factors such as weather, there is no guarantee of game sighting or shot opportunity. No refunds will be given.